In medium bowl, mix mayonnaise and egg with wire whisk. Stir in remaining ingredients except oil and dry bread crumbs. Shape mixture into 6 patties, about 3 inches in diameter (mixture will be moist). Coat each patty with dry bread crumbs. What a classic—golden brown outside, moist and full of crabmeat inside! 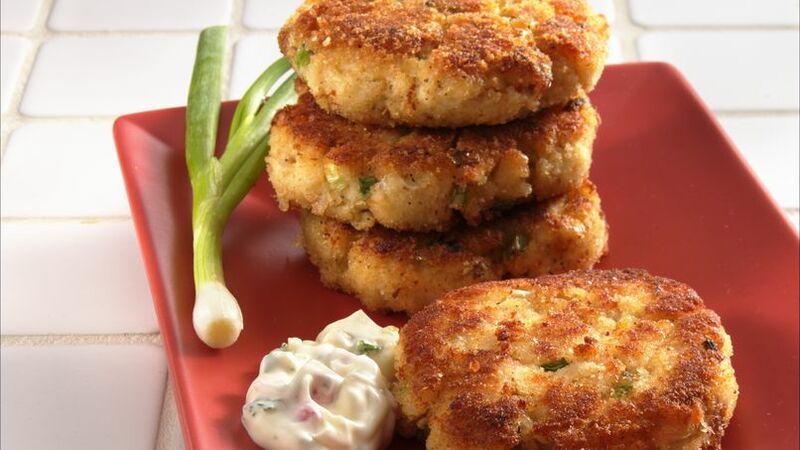 Crab cakes are also wonderful served as a main course—allow two per person.